to everyone.Then where can find all coupons in Efun.top? The answer of course is here! When you click in our Homepage, you could see "Coupon". There are all coupons in there. Of course,many customers would ask what coupons we have.Ok~Let me tell you. Re: [Super Discount]Here are All the coupons you want ! 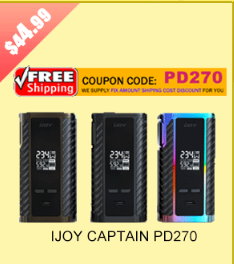 IJOY Captain PD270 BOX MOD 234W-$44.99!!!! 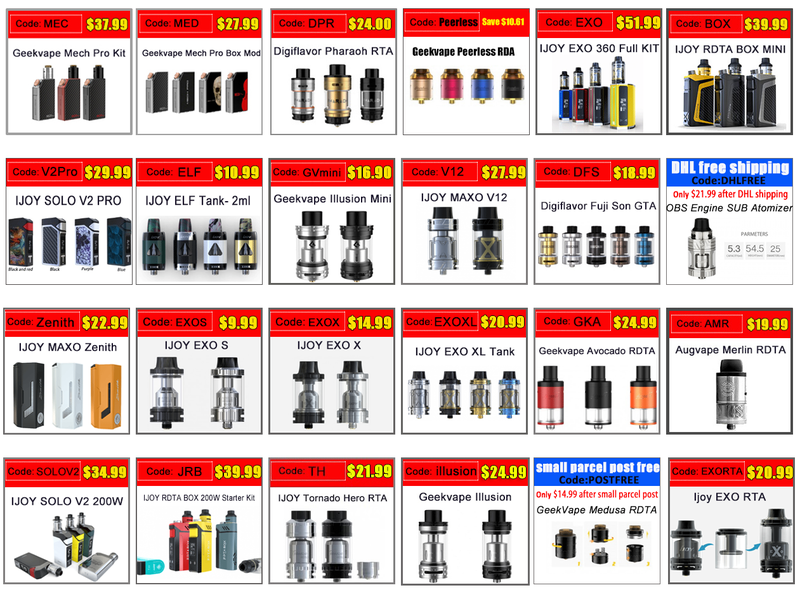 24mm Geekvape Peerless RDA Rebuildable Dripping Atomizer- $12.99!